"Detergent Free MP Soap Sample Kit "
COMMENTS: I love what I've tried thus far. It's a great way to test before you commit to adding a bulk product to your inventory as well as experiment with various base mixtures! "Great sample to try different bases"
COMMENTS: I love this sample kit! It has all the bases I like and I love to do a variety of soaps so this is perfect for me!! • Add the oatmeal base too! COMMENTS: Love all of the bases in the kit but when I went to reorder it has gone way up in price!!? COMMENTS: You get so much soap! I personally love the selection you get at the price. I'm just starting out and I just want to try everything. With the sample sets offered on this site it is so easy for me to try everything. With this set I am partial to the goat milk and coconut milk when it comes to the while soaps, because a few of my friends are allergic to shea. I love trying them all though with different colors and fragrances. Also I love the idea of a sample set, because I find it easier to buy anything as a set than go to each thing I need. Also sample sets usually include items you didn't even know you could want so it's a great way to try everything. I just love sample sets. I also bought the butter blend sample set and as soon as I can I am going to buy the exfoliates sample set and a color sample set too! • Sample sets! Sample sets! Sample sets! COMMENTS: Great way to try products to see which one I like. COMMENTS: i love love love this sampler kit. being new to soap making it allowed me to sample all different types of soap bases, its absoulty excelent! all of them make beautiful soap, and i would say it is definatly worth the purchase! i am going to be order another soon i hope! COMMENTS: I love getting kits like these, Give a chance to see the different types. Will order again for sure! 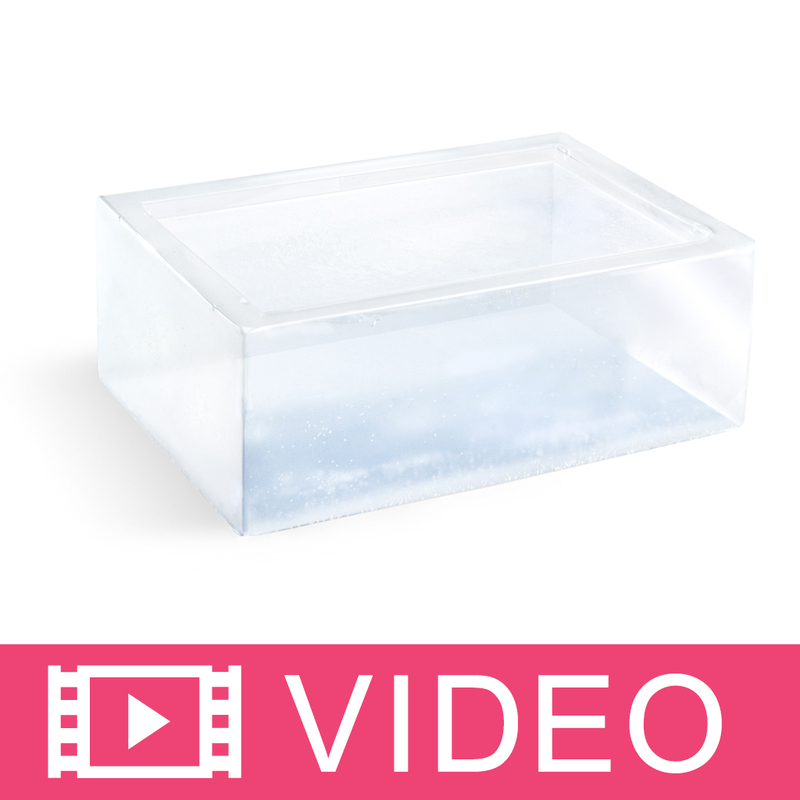 COMMENTS: I love all of the high quality detergent free soap bases. COMMENTS: This wonderful sampler allows you to try all of the top detergent free bases at an exceptional price. So impressed with WSP! COMMENTS: My favorite is the goat's milk. The kits are a lot cheaper and an awesome deal. I will definitely be buying more, soon. COMMENTS: This product is great if you don't know what type of soap that you want to use since it has all the different bases. The product itself is great and gives a great lather, I will buy again. COMMENTS: Loved the feel of the detergent free soaps. COMMENTS: This was one of my first purchases from WSP and is a great way to try out their detergent free bases at a great price. Love all the bases but two personal favorites are the Baby Buttermilk and the DF Clear. Highly recommend if you want to sample the DF bases. COMMENTS: I love this collection of soap bases, and I also love the price discount for buying in bulk. This kit allows you to try several bases to see which ones you prefer. I actually love them all for different reasons. I had a small melt and pour party with family and friends. Each person selected a base (1/4 of the package) and everyone made his/her own specialty soaps with the other supplies I had available (butters, clays, dyes, fragrance oils, etc.). Everyone had a blast including the men and boys, believe it or not- I think they were surprised too. I am ordering more supplies today to go with this set. I would highly recommend this kit. "Excellent Product Super Value "
COMMENTS: The product arrived perfectly packaged. Very easy to use and of great quality. COMMENTS: This kit is a great way to try the different M&P bases at a great price! My favorites for dry skin have been the Goats Milk and Hemp. The Honey is a very nice color and I use it with Honey Almond Fragrance oil. The white is pure white and accepts color well. The clear bases are fun to work with. I use them with the white bases for swirls or embeds. I also use the sparkle color bars in the clear bases and they look absolutely beautiful. This is a great starter kit for anyone new and its also a great price for those of us who have ordered it before. Excellent, and I highly recommend it. COMMENTS: A great way to sample all the detergent free bases. COMMENTS: You can't lose with this product. It has all the different types you could want and they all preform very well. The price is good and the product is good quality. "great place to start testing"
COMMENTS: I loved this combo, allowed me to try different kinds of bases. I found that clear and white are good for foam and stability. The best ones at that. All the other were either softer or less bubbly or both. But they are far more nutricious to the skin. They all work great. I wrap them as soon as they are unmolded because of high humidity here. They get the glycerin dew very quickly here. But fear not. Thats only because the humidity here is extreme usually over 90%. Yeah it's high. "Love the Kit! Great Value"
COMMENTS: I wanted to try a few of the DF soap bases had a hard time making up my mind. When I saw the kit offered I thought what a great value and I get to try all. So far I love the hemp, honey and buttermilk. I am anxious to try the others. I hope they keep offering this as a kit, but you can't beat the price and the quality of the bases is wonderful! COMMENTS: This is a great way to try a variety without paying the normal cost for 2 lbs. I really liked all the soap bases. High quality. COMMENTS: This kit is a great way to try all of the detergent free M&P soap bases, and save a little money at the same time. COMMENTS: I love this sampler, what a great way to find out which one to order more of, you get so many! It's like Christmas! And great price! COMMENTS: I already used the White base last night and had so much fun. I made small guest Handmade bars with the plastic mold sold by WSP. I have homework piling up but I have just enjoyed so much to make these soaps. This sampler is excellent, and while it brought two that I would haven't exactly purchased on my own (honey & Goats milk - personal reasons) at least I will be able to try each and determine which one are my favorites. COMMENTS: If you are starting out this is a great kit! I used the kit to get a better feel for the types of soap I want to make. Great starter! COMMENTS: This is a great way to try all the detergent free bases and save money while doing so. "Detergent free MP soap sampler kit"
COMMENTS: Love sampler kits, and this ones perfect. I liked be able to try each base to see which one I liked the best. Bad part is, I (and my customers) have liked each base ! "When you don't know what people will like...."
COMMENTS: This is the BEST way to find out. I knew I wanted to start my soap biz with detergent free soaps, but realized early on that any potential customers would have varying tastes. After debuting with a hemp oil soap from another company (and being ridiculously disappointed in the quality)I decided to try all the detergent free M&P soaps from WSP. I can't be happier (especially with the hemp oil)! I'm in the process of working with them all and using them all. This weekend I'll be debuting them all in sampler packs and will find out which are the most popular. Thank you WSP for giving us this amazing kit!! It takes a lot of guesswork out of the process! I'll be purchasing again and again I'm sure! COMMENTS: This is such a great value to try all the different detergent free bases! I am now a huge fan of the oatmeal, hemp, and buttermilk bases! My base line has now been expanded thanks to this sampler! If you are new to soaping, seriously give this a try - it gives you a feel for what kind of bases you want to work with! COMMENTS: I really love all the bases, use the clear and white for embeds. The three butter is so creamy. Great buy! • do not have to wrap or label!!!!! COMMENTS: I have recently decided to try to limit my family's exposure to SLS. These soap were just what I wanted. So far we have only used the honey, but my daughter loved it so much she used a whole bar in one shower :). We can't wait to try other soaps in the sample kit! Thanks! COMMENTS: Great kit if you are just starting or you want to test different soap bases. It gave me a good idea which direction I wanted to head with soap making in general. COMMENTS: Great sampler of wonderful and varied soap bases. Well priced. "Are these soaps okay to use for making a shampoo bar?" "Is the aloe and olive oil base suitable for face washing?" Staff Answer Yes our Aloe and Olive Oil Soap Base can be used as a facial soap bar. "Are the detergent free soap bases sulfate and paraben free?" Staff Answer Yes, all of our Detergent Free MP Soap Bases are Sulfate and Paraben Free. "what ingredient is considered detergent? Just wanting to know for certain so I know what to look out for and what makes a detergent free soap "
Staff Answer There are many different detergents that can be used in mp soap bases. In the case of ours the detergent ingredient is listed as: Sodium Laureth Sulfate.